At the 2012 Paris Motor Show, BMW brought out their entire fleet of hybrid vehicles. The ActiveHybrid 7 arrives at BMW dealerships this fall and costs $84,895 including destination, $13,000 less than last year. Some of the savings come from the use of an inline-six engine versus the V8 used in the 2012 model. 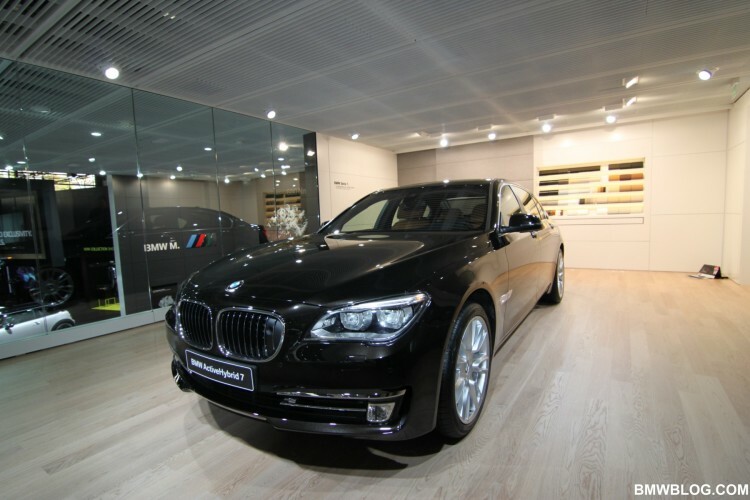 The 2013 ActiveHybrid 7 uses a 3.0-liter TwinPower Turbo inline 6-cylinder engine with 315 hp version as in the new BMW 740Li. That engine is coupled to a 55-hp synchronous electric motor and an eight-speed automatic transmission. Total system output reaches 349 hp and 367 lb-ft of torque. BMW claims a 0-to-60-mph time of 5.5 seconds. US EPA numbers are not yet available. However, in the EU test cycle the new ActiveHybrid 7 yields efficiency gains of 14 percent over the new 740Li which itself sees an impressive improvement over its predecessor. Brake Energy Regeneration and the Hybrid Start-Stop system improve the overall efficiency. 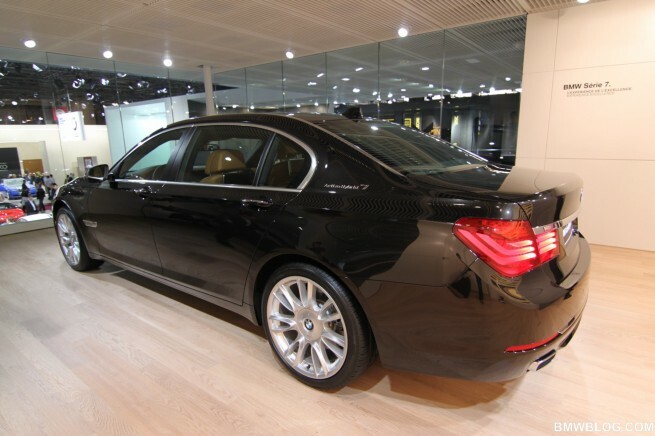 The 2013 BMW ActiveHybrid 7 can also run purely on electric power. If the hybrid battery has sufficient charge and the driver goes easy on the accelerator, the car can cover a distance of up to 2.5 miles almost silently and without producing any tailpipe emissions. The top speed on electric power alone is 37 mph. The new ActiveHybrid 7 will be available in the US as a long-wheelbase model only.